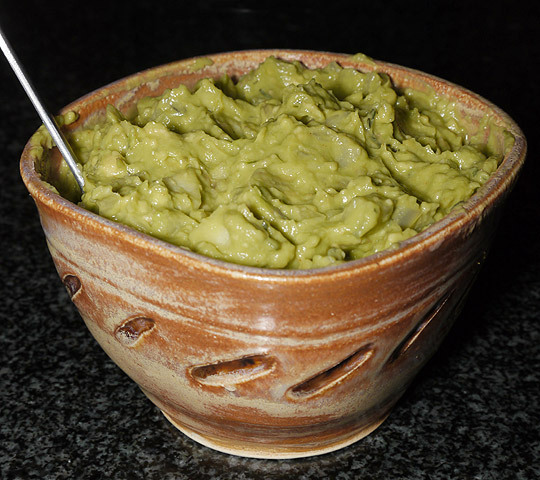 I'm pretty certain that everyone is familiar with traditional guacamole; the Mexican avocado based spread/dip. But did you know there are hundreds of variations out there? So many that my VP blogging group decided to host a little guac party to see what interesting twists we could come up with. I decided I wanted to try a roasted fennel & green apple version I had seen online. The flavor combination just sounded intriguing to me. Mixed with your traditional avocado you didn't really taste the fennel but the green apple and lime juice really stood out. If I had to use one word to describe this guacamole it would be refreshing. I served it with pita chips; but it would be equally delicious served along side fresh veggies, like carrots or zucchini. Next time your looking for something just a little different to serve your guests I would recommend giving this guacamole a try. And be sure to check all the VP bloggers for other great ideas. Heat the oven to 350 degrees. Cut the fennel bulb in half, and then cut each half into 3 wedges. Lay them in a single layer in a small baking dish and drizzle with the olive oil. Measure in ¼ cup water, sprinkle with ½ teaspoon salt, cover with foil and slide into oven. Bake until the fennel is tender, about 1 hour. Cool. Remove the fennel to a cutting board and pull off any exterior layers that seem fibrous. Cut out and discard the pieces of core that hold each wedge together, then chop the remainder into tiny pieces – the tinier the better. While the fennel is cooking, put the apple into a bowl, sprinkle it with the lime juice and toss to combine. Refrigerate until you’re ready to use. Cut the avocados in half, running a knife around the pit from top to bottom and back up again. Twist the halves in opposite directions to release the pit from one side of each avocado. Remove the pit, and then scoop the flesh from each half into a large bowl. With a large fork or the back of a large spoon, coarsely mash the avocado. Add the thyme, basil, apples (including all the lime juice) and the chopped fennel to the avocado and stir to combine. Taste and season with salt and crushed red pepper. Cover with plastic wrap pressed directly on the surface of the guacamole and refrigerate until serving time. What an interesting idea. I love roasted fennel and I'll bet green apples and avocado together are killer. That does sound intriguing! I will have to give it a try. Avocados have moved into our diet, big time now. Looks incredible, and so interesting. I love fennel! Wow, that's a crazy combo. But it sounds sooooo good. And I want to steal that bowl. Interesting combo Theresa. I bet it was yummy. What a lovely recipe for Guac! Definitely a great combination. I use fennel seeds in most Indian food, but, never in any Mexican food. Very creative recipe. A must try!! Thanks T!